Normally I don't take too many photographs for my blog, but I couldn't resist taking pictures of the butterflies at the Montréal Botanical Gardens during a visit this week. Did you ever have a butterfly brush your cheek? A soft little flutter like eyelashes against your skin. A first for me! Did you ever see a butterfly so close up you could make out the little patterns on its wings? 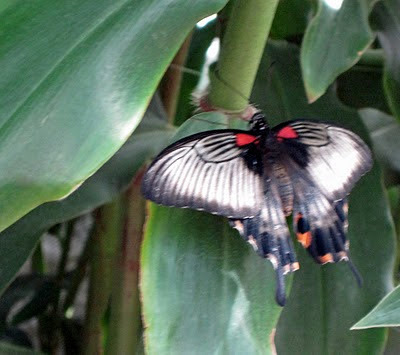 (If I seem overly amazed, please remember we're just coming out of winter - we need to see butterflies right now)! While I was taking these photos, a woman quietly whispered to me "excuse me, but you have a butterfly sitting on your shoulder". I can honestly say that no one has ever said this to me before. Unfortunately, I couldn't take a photo of my own shoulder! 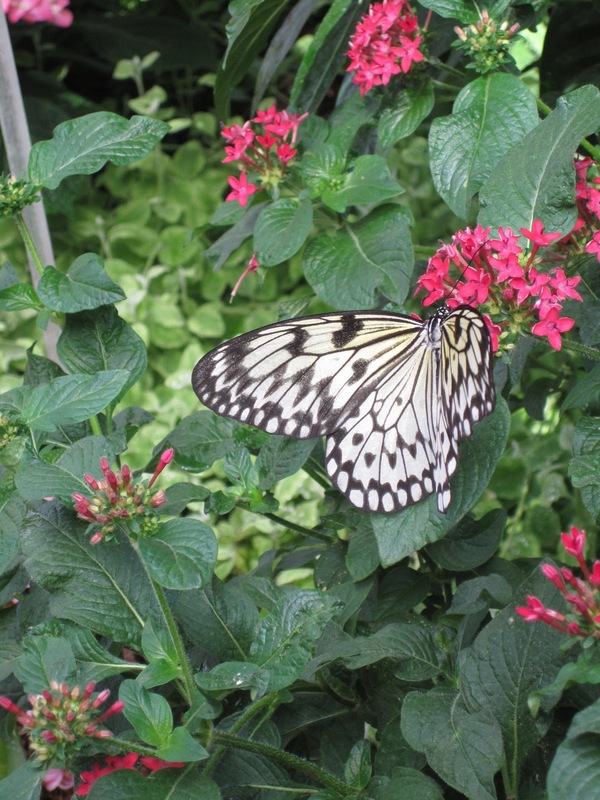 The butterflies came in all colours and patterns. There were dishes of fruits strategically placed so we could watch them feeding. The assortment of flowers pleased both the humans and the butterflies. The butterflies didn't seem to mind us humans observing them. They even sat in the children's hands if they were quiet and still (the children that is). 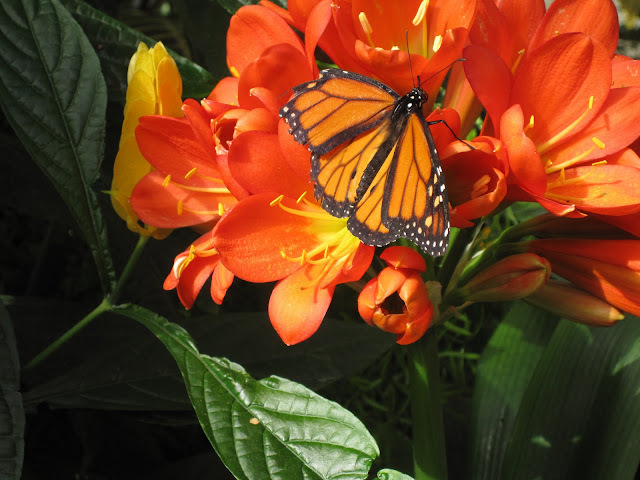 If you would like to see butterflies in abundance, visit the Montréal Botanical Gardens before April 15. It's a wonderful way to spend an afternoon. As written on the Botanical Garden web site, "be prepared to be enchanted"! Beautiful, beautiful pictures you took. In fact, the first one is now my background picture! Is that a copyright infringement?? oops. Thank you Merry. 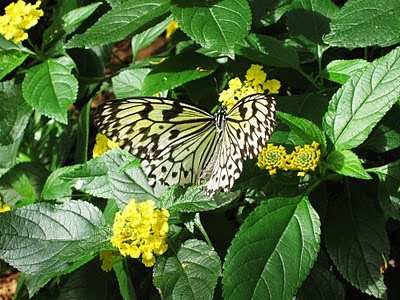 The butterflies were just so beautiful! Enjoy the background photo!